Paul Darcy Murphy was born in Booneville, Mississippi August 6, 1913. He was baptized by J.L. Rogers July 2, 1932. Paul married Geunita Loyette Sample September 16, 1938. They had one daughter Claudia Loyette. 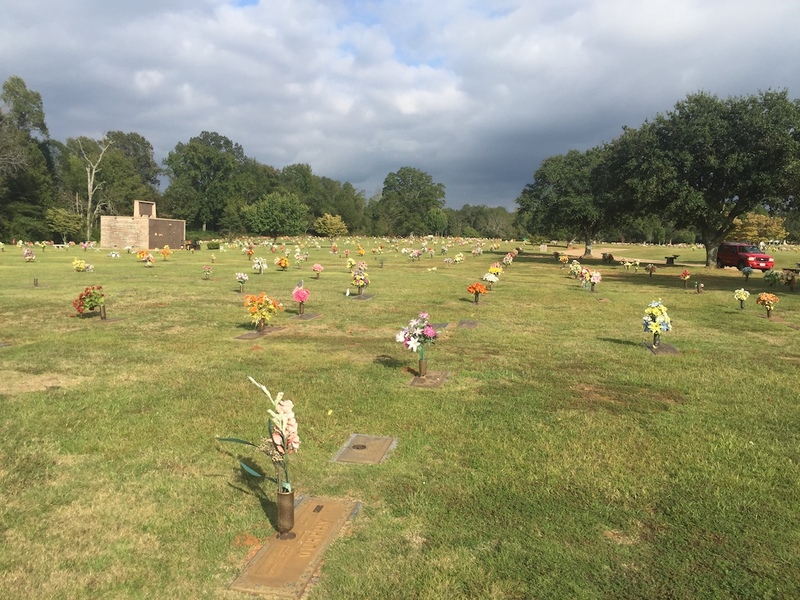 Soon after his conversion, he began preaching the gospel in and around Saltillo, Mississippi. After preaching for four years, he entered Freed-Hardeman for formal training. But, at the time of his entrance into college, he was already a seasoned preacher, conducting gospel meetings all over north Mississippi and Alabama. Many reports were sent in to the Gospel Advocate and Firm Foundation of his successes in preaching. Later, he attended Harding College for further training. His preaching led him to move his family to Kosciusko, Mississippi in 1937 where they worked until the fall of 1939. Then the family moved to Pontotoc, Mississippi. While in that region, he preached regularly for churches in Amory, Fulton, Berea and Houston, Mississippi. In January 1941 they moved to Rosedale, Mississippi. While there he preached for Rosedale, Ruleville, Leland, Stringtown, and Cleveland. At the end of 1941 he departed to a work in Lindale, Georgia. In 1943, the Murphys moved to work with the church in Atmore, Alabama. In September, 1944 the family moved to work with the church in Avon Park, Florida. After 27 months with this church, the family moved to work with the Halcomb Avenue church in Mobile, Alabama at the end of October 1946. At the end of 1949 the family moved to Bradenton, Florida where he preached for the West Bradenton church. In 1951 they moved to work with the church in Bastrap, Louisiana where they stayed until 1955. After this they moved back to Fulton, Mississippi where they lived and worked from 1955 to 1960. From there they moved to Foley, Alabama and were there from 1960 to early in 1967. In the spring of that year, the Murphys began conducting mission work in Mississippi under the oversight of the Plateau church in Mobile, Alabama. His first work was in the Mississippi town of Durant. During this time he continued to preach meetings wherever he was called. After about 32 months at Durant, he and his family moved to Jackson, Alabama, in 1970. The following year he moved down to Wilmer, Alabama and preached there. In 1974, he gave up local work to engage in full-time missionary work. This involved planting churches and building up struggling churches in south Alabama. In the next ten years he planted seven new churches and helped seven struggling congregations build new buildings and secure full-time preachers. During that ten-year period he reported having preached 245 gospel meetings during which 260 were baptized and 311 were restored. He also reported that it was his plan for the next ten years to plant at least one new congregation every year. (Gospel Advocate, December 6, 1984, page 731). In 1968, brother Murphy wrote a tract entitled, "Why I Changed Churches." This tract led many out of denominationalism, including several denominational preachers. While serving several of the congregations already mentioned, he conducted regular radio broadcasts. While under the oversight of the Plateau church in Mobile, he conducted a television broadcast with other preachers called, "Know Your Bible." In 2001, a book was released, entitled, ''What the Lord Saith Unto Me, That Will I Speak." It was a book of one hundred and four usable sermon outlines. He also released a volume entitled, "Timeless Sermons For Now And Eternity." Two volumes were released under this title, both of which were sermon outlines he preached over the years. Paul Murphy was noted for his church building abilities. He helped to establish as many as seventeen congregations, and assisted in the building of fifteen meetinghouses. For years, he conducted 15-22 gospel meetings each year. Several college lecture programs scheduled him on their program. The family spent their last years in the Northport, Alabama area. Brother Murphy passed from this life February 3, 2003. His body was laid to rest in the Memory Hills Gardens in Tuscaloosa, Alabama. -Source: "Preachers of Today," Vol. 4, page 228; Firm Foundation, several issues, also the Gospel Advocate. From my almost earliest remembrance, I was privileged to hear brother Paul D. Murphy powerfully proclaim God’s Word. He and my preaching father, Curtis C. Cates, have been friends all through those years, as have brother Murphy and I. Brother Murphy has been a preacher of the gospel for more than seventy years. He is eighty-nine years of age, having been born into the family of A. A. Murphy of Booneville, Mississippi, on August 6, 1913, one of thirteen children. He presently resides at 605 Brookside Drive, Tuscaloosa, Alabama 35476; 1-205-339-9320. Brother Murphy’s early life was spent on a farm in Prentiss County, Mississippi, during which time he became a professional prize fighter, winning the lightweight championship of the State of Mississippi at age fifteen. He has been an even more gifted and devoted fighter for truth. After having joined the Baptist Church at age sixteen and become a Baptist preacher for two and one-half years, during which time he became more and more dissatisfied with Baptist doctrine, (It did not harmonize with what his Bible taught), Paul was baptized into Christ by brother J. L. Rogers. Several years later, enabled by Dr. and Mrs. S. L. Pharr and the Booneville, Mississippi, congregation (where brother Pharr was an elder), brother Murphy attended Freed-Hardeman College and Harding College. The preaching of brother Murphy was always powerful and true to The Book. He not only helped to establish forty-three congregations and to build thirty-two church buildings, but he also preached in more than 378 gospel meetings within fifty miles of his home. More than 15,000 responded to the gospel invitation when he preached, in thirty-six of the fifty states. He also preached extensively over radio and television, as well as through the printed page. His tract “Why I Changed Churches” had led to many people having been converted, as some 800,000 copies have been distributed widely. Brother Murphy also served as an elder for over two decades. Countless preachers have been encouraged by Paul D. Murphy, including the writer. Back in the 1960’s, I was privileged to lead singing in several gospel meetings he preached. And, he preached through the years in gospel meetings where I was located and in congregations nearby, where I could attend. His preaching was always chocked full of Scripture, fervent, and loving. He spoke without notes and with authority. Being very unselfish and generous, he often preached without remuneration where the work was struggling to get underway. Because of poor health, brother Paul D. Murphy is unable to fill the pulpit. However, he is ever active in studying the beloved Word and writing original sermons, hundreds of which have been put into print. The book you now hold in your hand contains fifty-two powerful Biblical, timeless sermons that need to be preached in every pulpit in the land, and indeed, throughout the world. 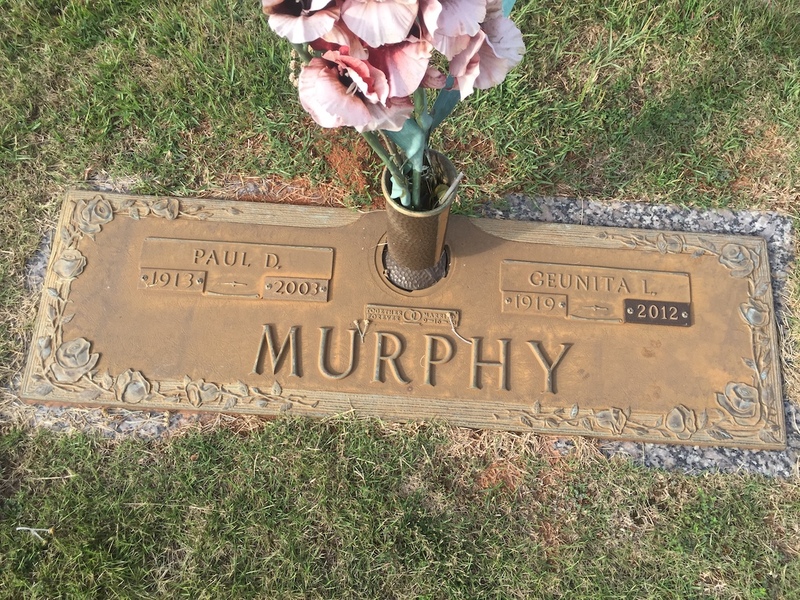 Brother Murphy has been cared for and lovingly supported by his devoted wife, Geunita, and their daughter, Claudia Loyette, who holds the Ph.D. in English from the University of Alabama and is a teacher of English, Drama, and Speech in Pickens Academy, Pickens County, Alabama. Forward, Timeless Sermons For Now And Eternity, Part 2, pages 3-4. NORTHPORT | Paul D. Murphy, age 89, of 605 Brookside Drive, died February 27, 2003, at his residence. Graveside services will be held today, March 1st at 11:00 a.m. at Memory Hill Gardens. James L. Segars, Bob Howton, Andy Cates, and V. P. Black officiating. Visitation will be from 9:30 - 11:00 a.m. the day of service. Memory Chapel Funeral Home directing. He is preceded in death by his parents, A. A. Murphy and Martha Jane Murphy. Survivors include spouse, Geunita Sample Murphy, daughter, Claudia Loyette Murphy, sisters, Myrtle Abshire, Elsie Wooten, brothers, Gene Murphy, and Dempsey Murphy. Having attended Freed-Hardeman College and Harding College, Brother Murphy preached the gospel faithfully for sixty-eight years. During his ministry he established forty-three congregations, and more than 15,000 people responded to the invitation . 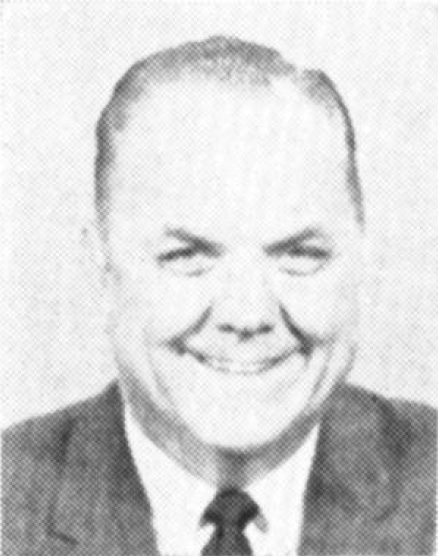 Brother Murphy held revivals throughout the Southeast, most frequently in Mississippi, Alabama, Florida, and Georgia; however, he conducted 378 gospel meetings within fifty miles of his home congregation in Booneville, MS. Throughout his entire career, Brother Murphy focused all his energies on serving God and his fellowman as a preacher and generous friend, as well as a Bible Scholar and the author of five books. Brother Murphy will be sorely missed by his wife, Geunita, of sixty-four years, and his daughter, Claudia, along with many close friends and relatives. Pallbearers will be Sonny Head of Brilliant, AL; Eddie Holder and Steve Johnson of Fulton, MS; Dallas Wyatt and Lester Smith of Foley, AL; and Phil Buchanan of Berry, AL. Honorary pallbearers are The Elders of the Aberdeen Church of Christ, The Elders of the Foley Church of Christ, and The Elders of the Beans Ferry Church of Christ. In lieu of flowers the family requests that donations be made to The Paul Murphy and Jere Jones Scholarship Funds at the Memphis School of Preaching in Memphis, TN. Memory Hills Gardens is located at 2200 Skyland Blvd. East in Tuscaloosa. Off I-20 take Exit 73. Go south one block and turn left on Skyland Blvd. After about a half mile the cemetery will be on the left. Enter the cemetery and go to the end and turn left. Turn at the second left and follow the road around. Head toward the rear of the cemetery (northwest part). 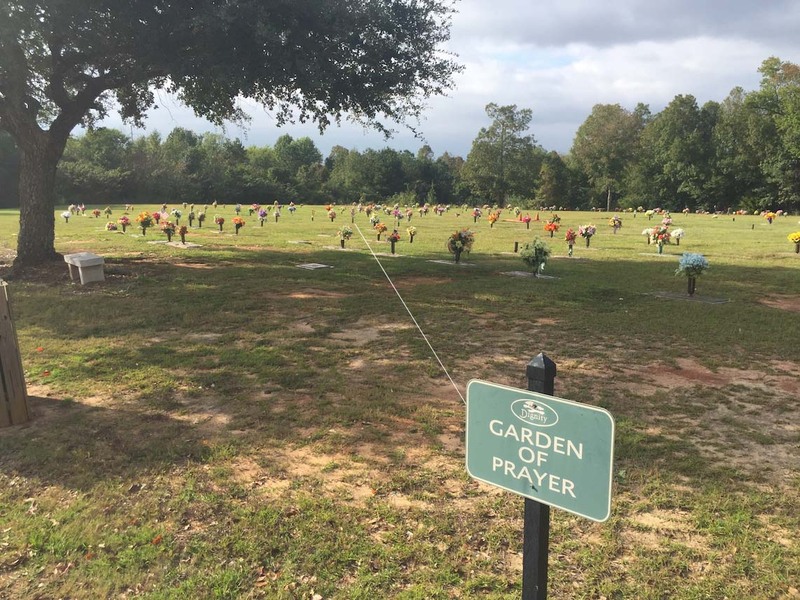 The Murphy plot is located in the Garden of Prayer. See photos below to help locate the grave. 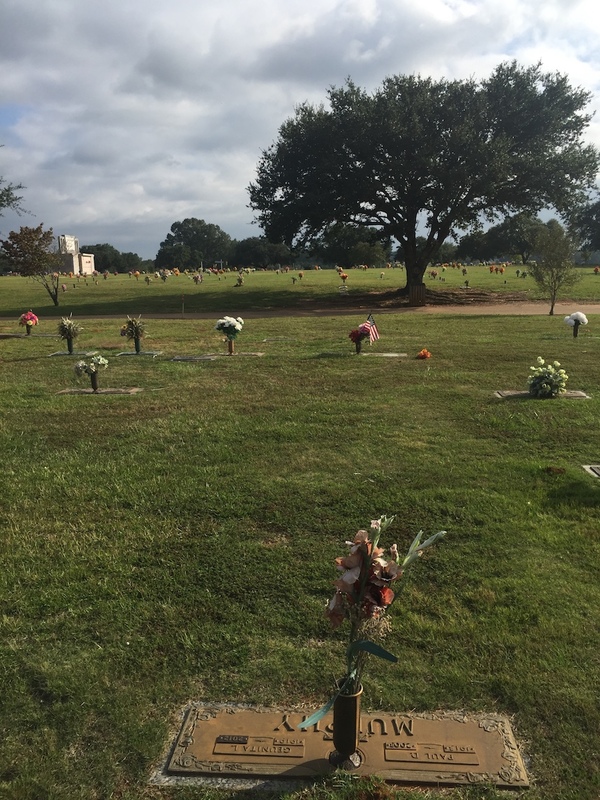 While in the cemetery be sure to drop by and visit the grave of another gospel preacher, Wendell Winkler. Special Recognition: Thanks to my son, Richard Harp, who drove me over to Tuscaloosa for a University of Alabama football game. 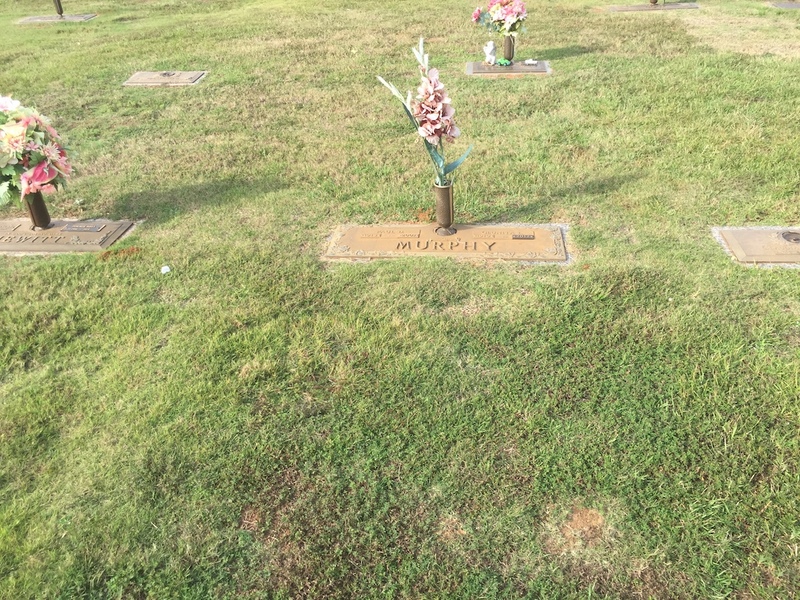 We arrived early enough to go and find the grave of Paul D. Murphy.